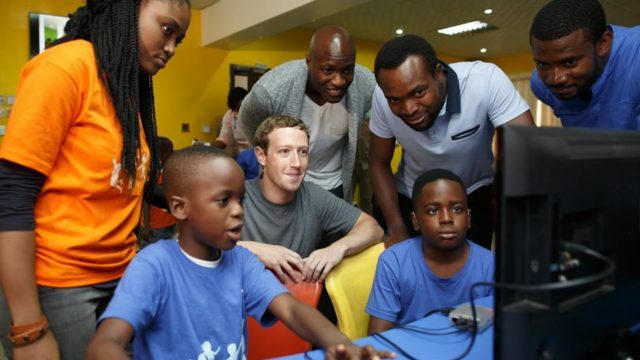 His first visit was at Creation Hub (Cchub) innovation center in Lagos where he engaged with kids at a summer coding camp as well as other entrepreneurs visiting the center to build and launch their apps. He then made an appearance at Andela, a software developer accelerator, which the Chan Zuckerberg Initiative invested $24million in earlier this year. For many entrepreneurs and investors, Nigeria’s thriving market has been overlooked. Having one of the wealthiest and most influential man in the world like Zuckerberg make a stop certainly will get more eyes and hopefully more money invested in Nigerian startups. According to figures on their network, Nigeria is the largest market in Africa for Facebook, boasting 16 million Nigerians using the platform monthly, with 7 million logging onto the site daily and 97% of them on mobile. Zuckerberg seemed to have a genuine interest in hearing about challenges to the local startup economy. From a distrust of investors to invest money because of many scams coming out of Nigeria commonly known as 419 scams, to the failed government infrastructure in sustaining an entrepreneurial ecosystem, to the frustrating energy problems and unreliable internet connections, Nigerian citizens in the tech space let their voices be heard at a town hall meeting held by Zuckerberg.